In 2011 Kenya experienced a severe drought brought about by the effects of La’ Nina. Turkana was badly hit and many Kenyans and livestock succumbed to death because of lack of water and food yet the region is endowed with underground water running into billions of liters. The plight of these community brought together Kenyan’s under the umbrella of Kenya’s for Kenya spear headed by Safaricom and Kenya Red cross. Over Kes.1bln was contributed by Kenyans to save humanity faced with starvation. Epicenter was privileged to be part of this initiative. We designed and installed solar powered borehole systems providing a continuous water supply to the communities in Kaikor. These communities were able not only have drinking water but also grow food crops for themselves. The borehole systems have provided continuous water supply every day since October 2012 to date. However, the most exciting thing about this project is the colossal savings on running costs of pumps that have accrued this community. No fuel bill or maintenance costs that characterize engine powered water pumps solutions. Kakuma refugee camp is home to over 300,000 refugees of South Sudan, Somalia and Ethiopian Origin. Water supply to this population had become a challenge to UNHCR, NRC, World Vision and other humanitarian organizations working with the refugees in the camp. The main source of power at this remote area being diesel generators running over 16hrs daily in order to meet the water demand. The fuel cost and maintenance of the generators was becoming unsustainable, with each borehole costing over 2 million shillings in operation and maintenance. 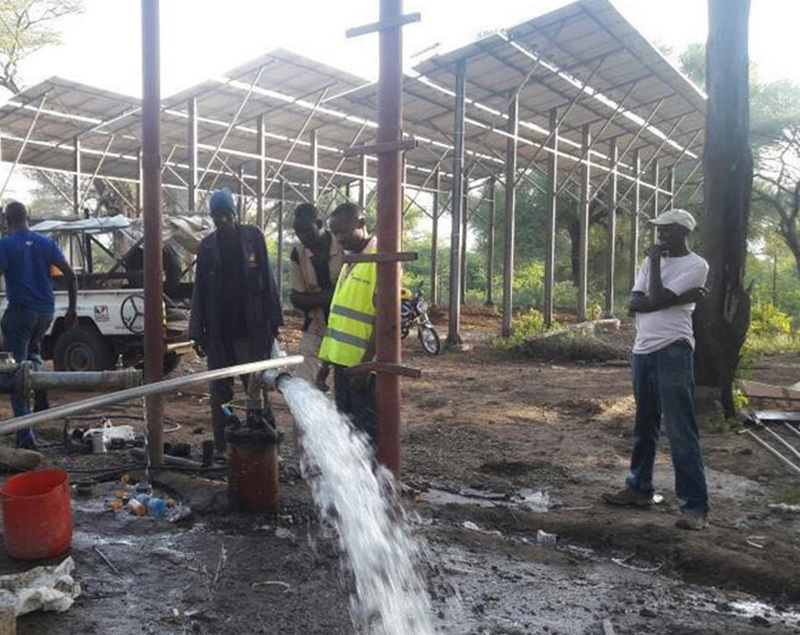 Epicenter Africa working with UNHCR and other partner agencies converted the existing diesel powered boreholes to run on solar. The current 4boreholes are now delivering about 800,000litres of water daily free of any running costs. The saving can now be used to develop other infrastructure within the camp and the neighboring host community.